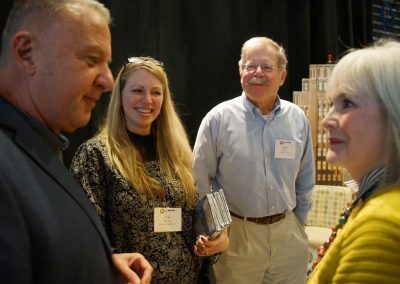 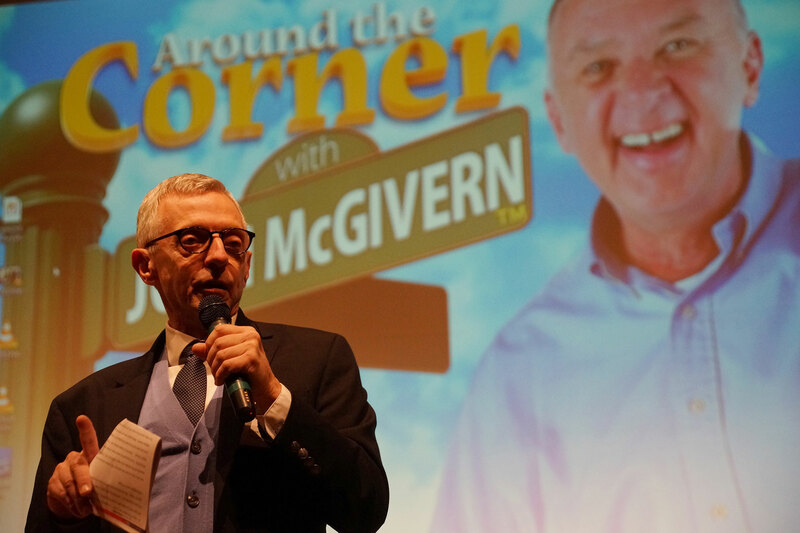 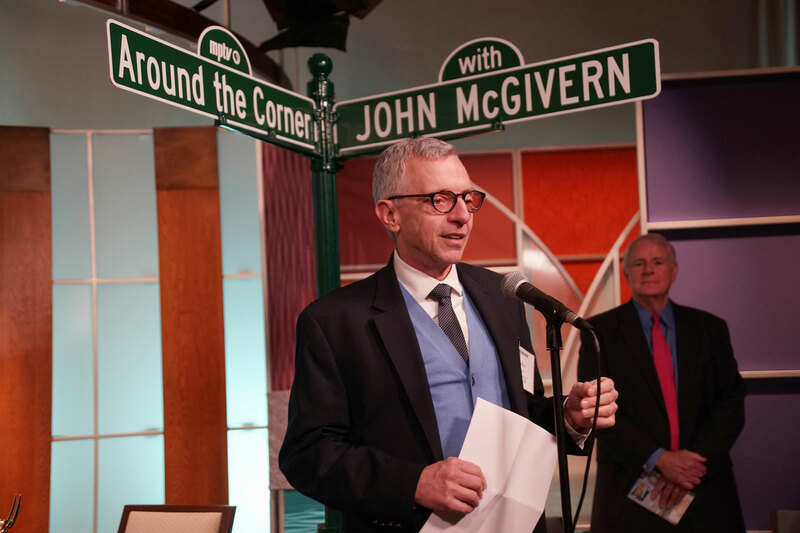 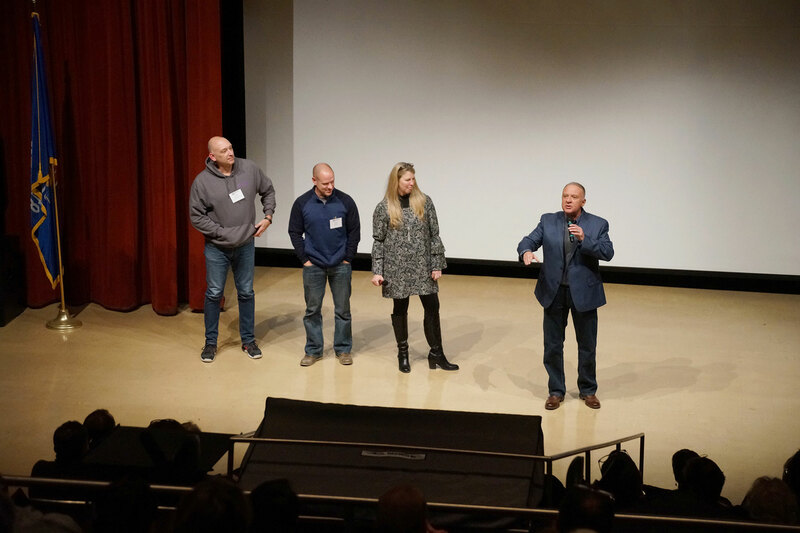 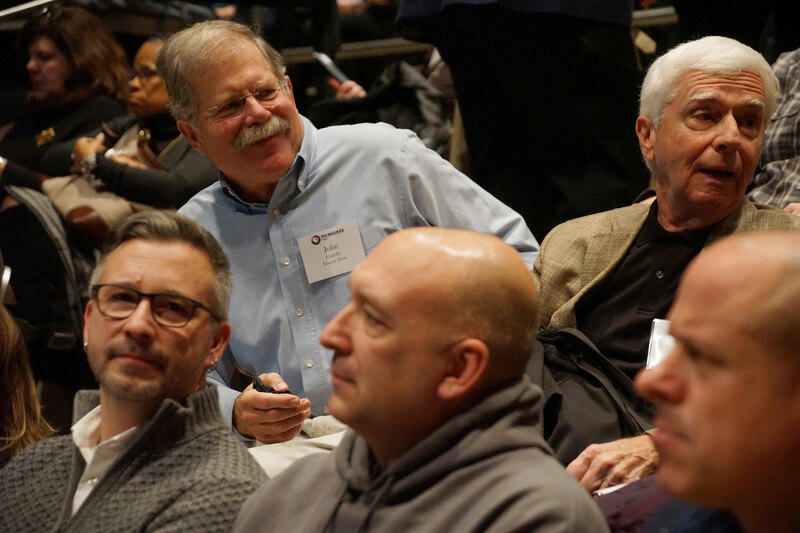 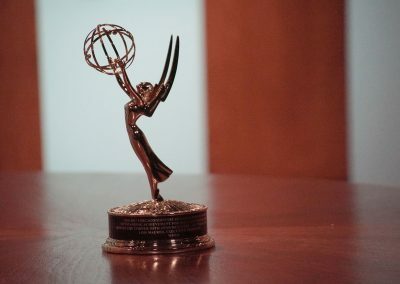 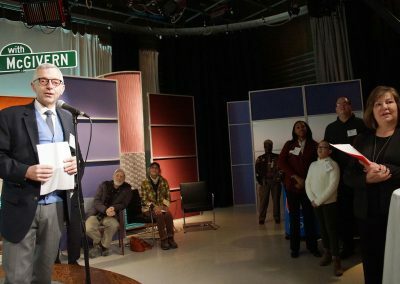 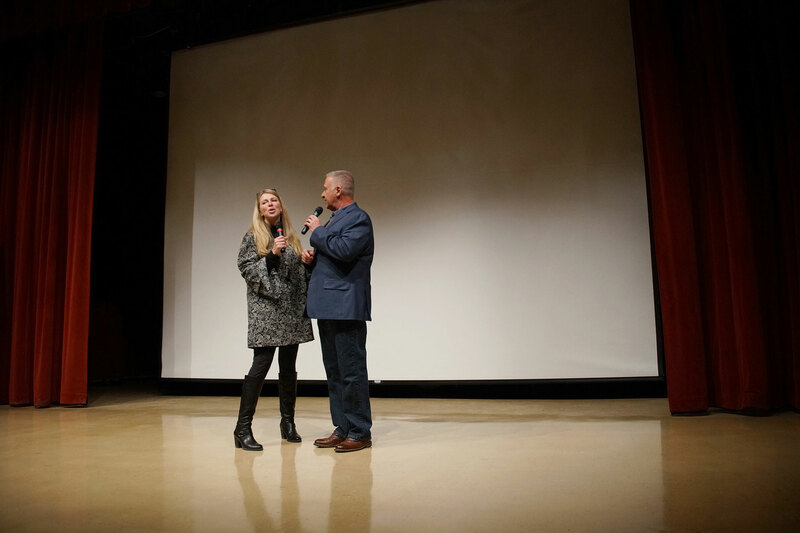 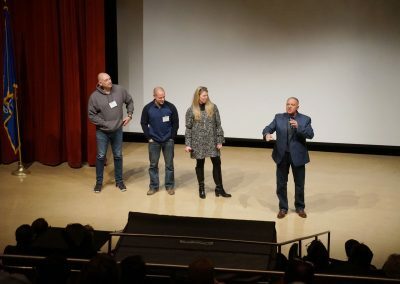 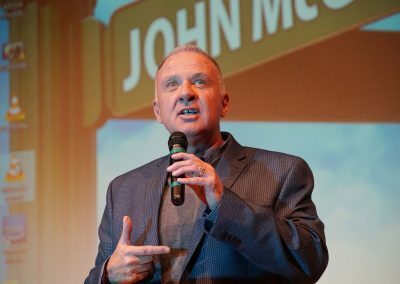 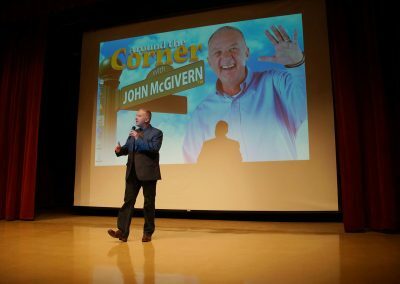 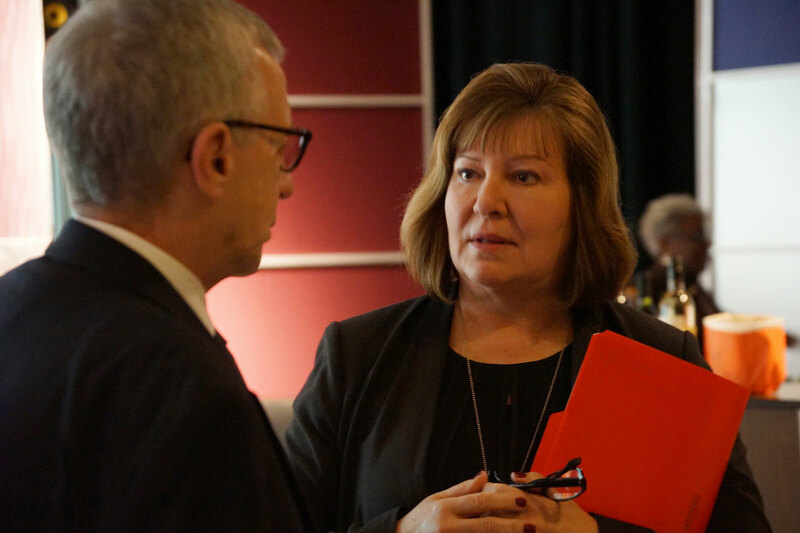 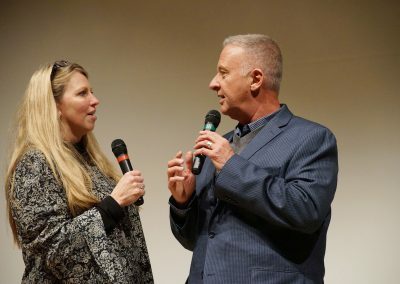 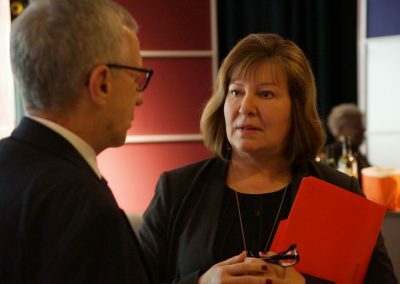 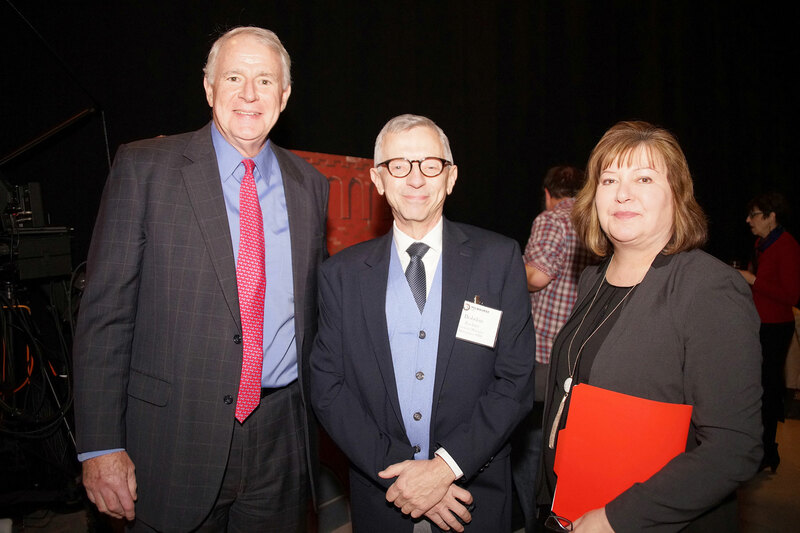 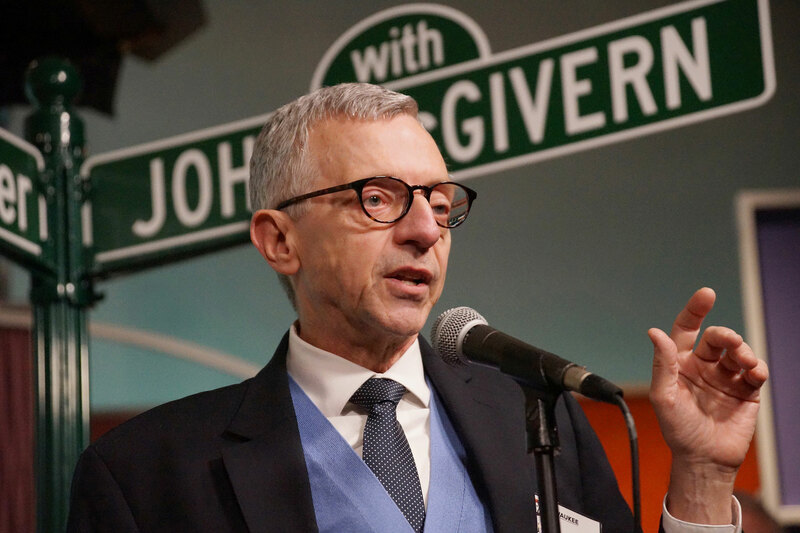 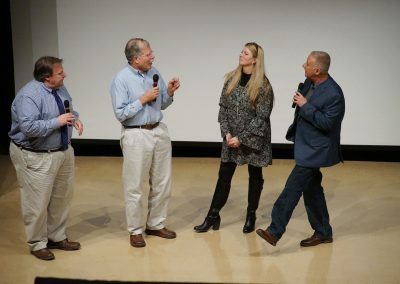 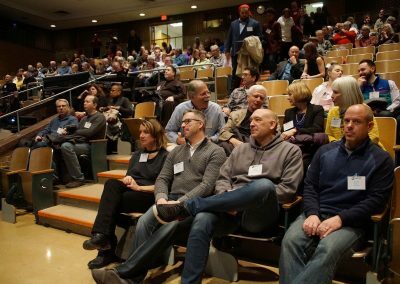 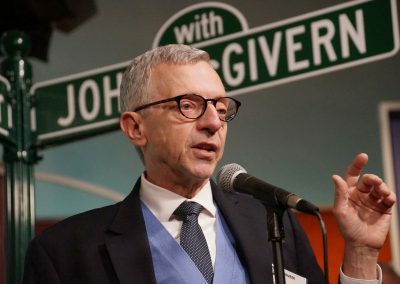 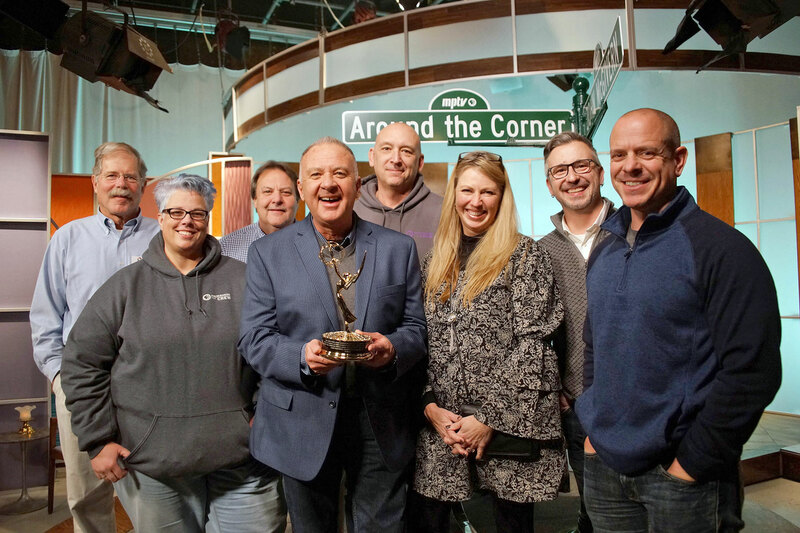 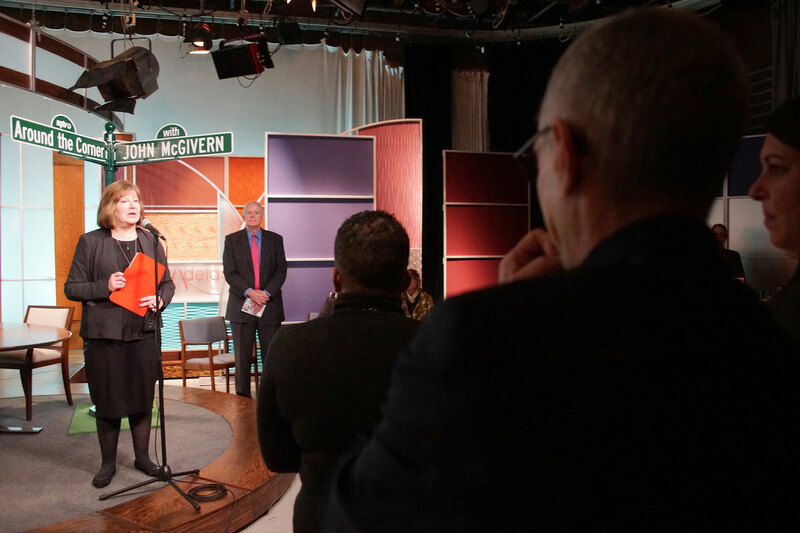 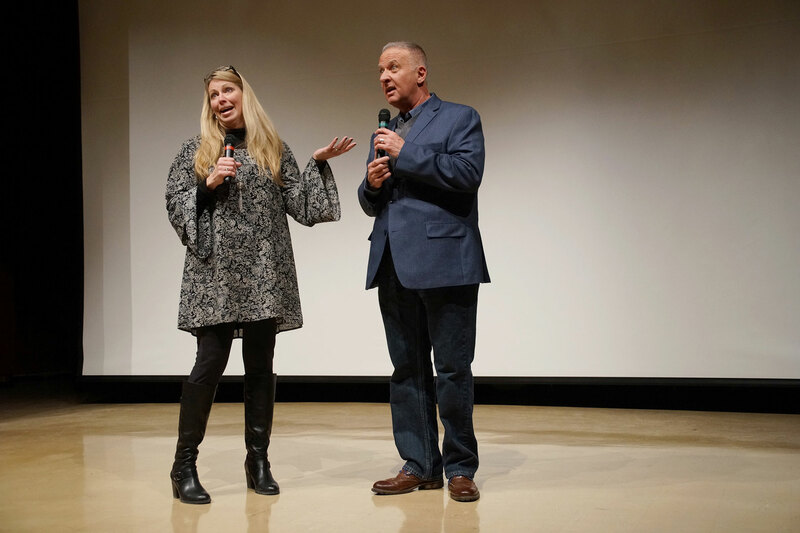 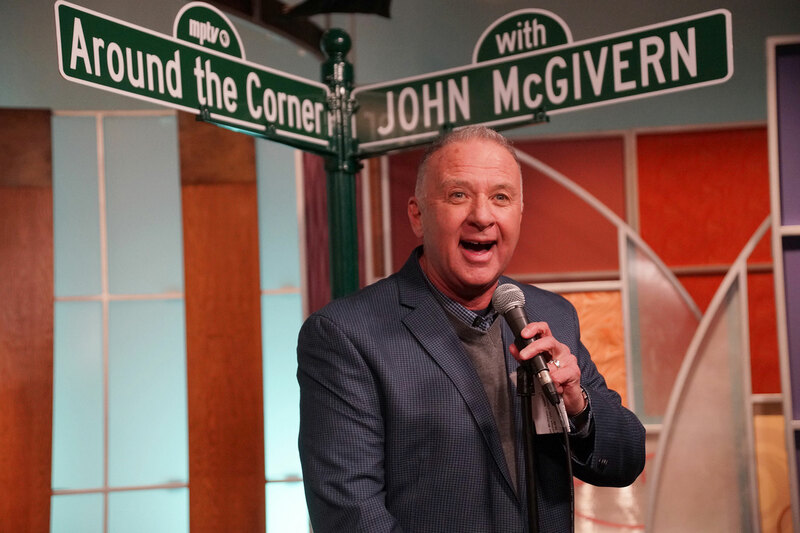 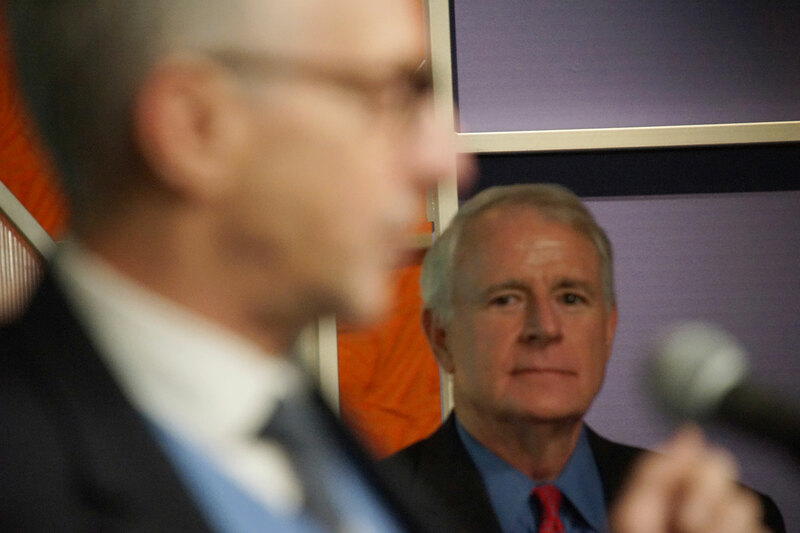 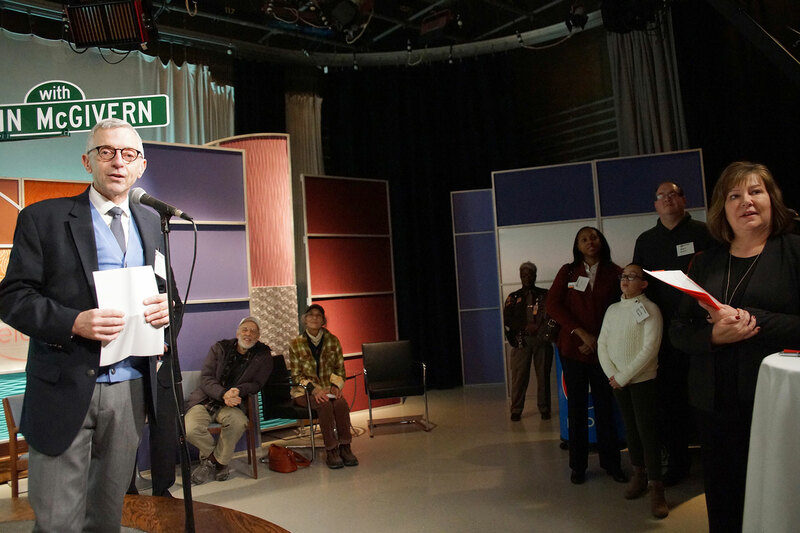 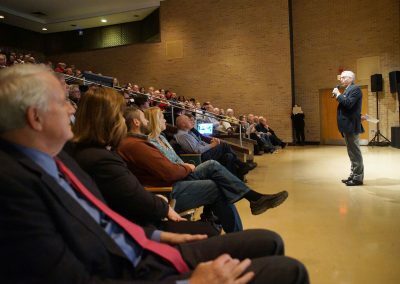 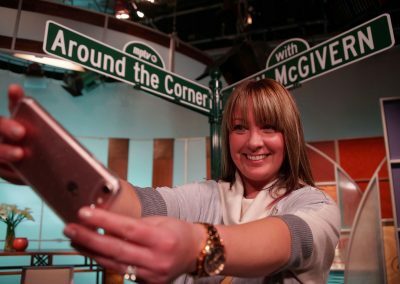 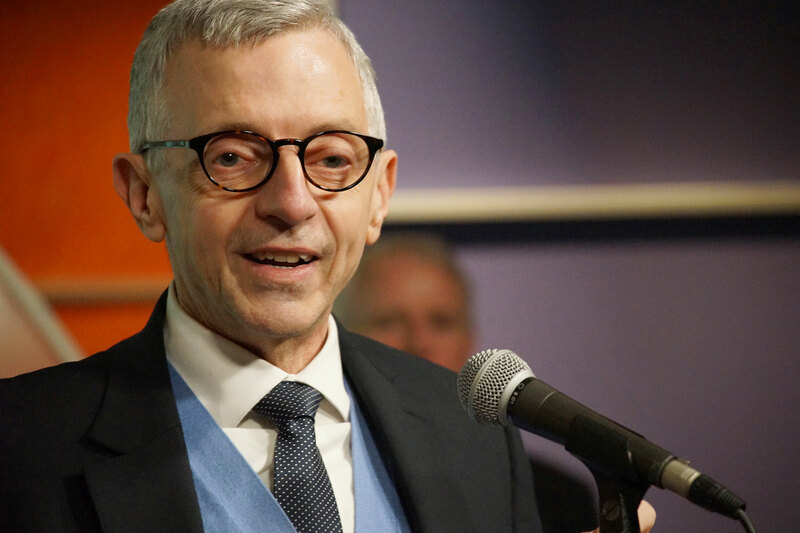 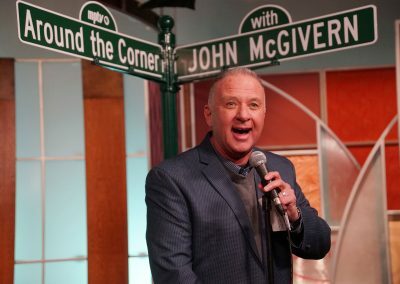 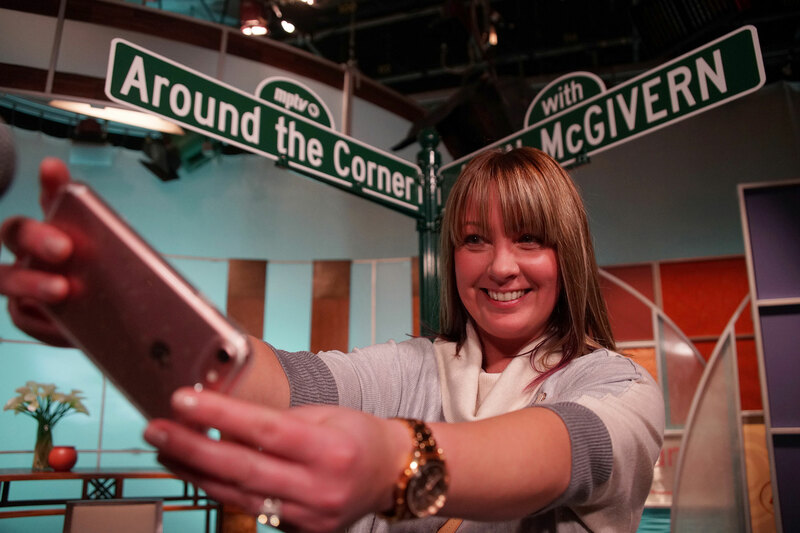 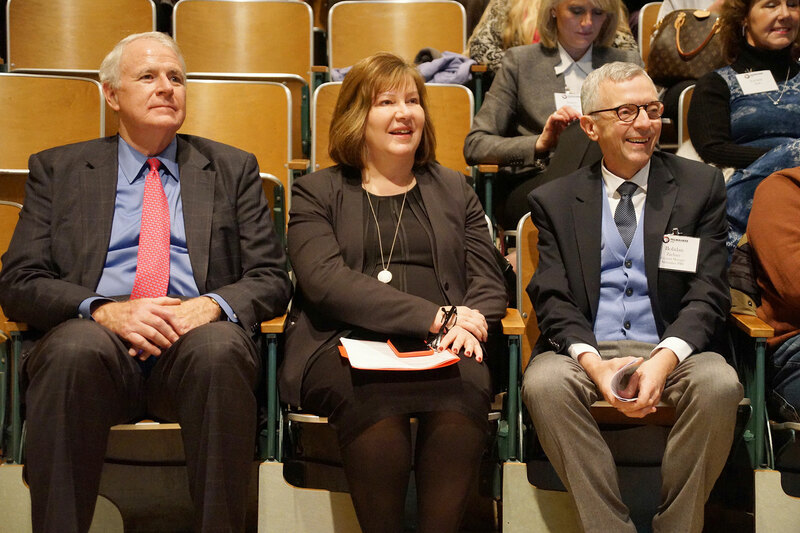 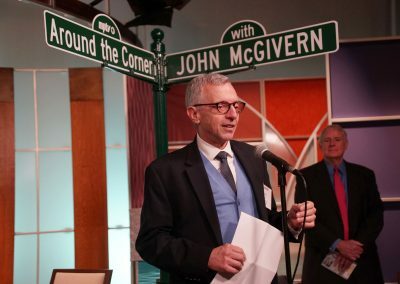 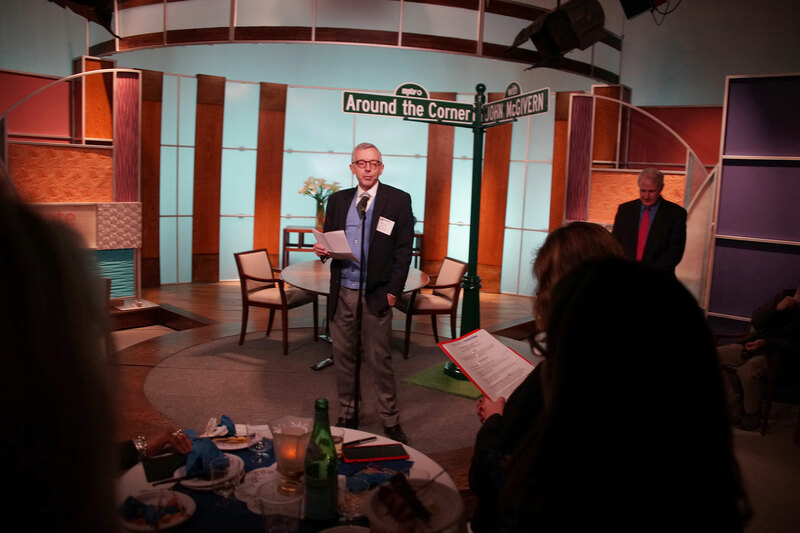 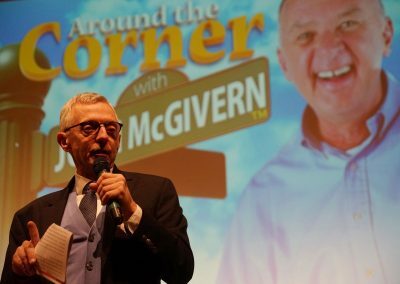 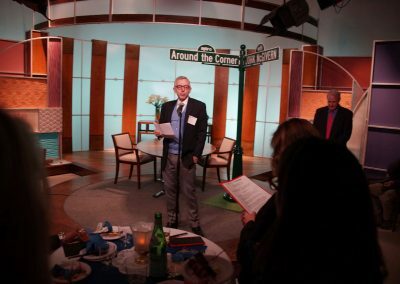 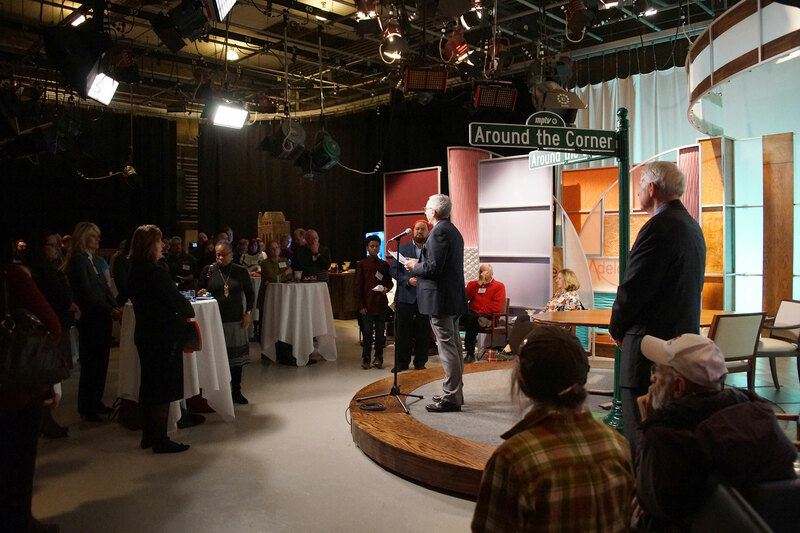 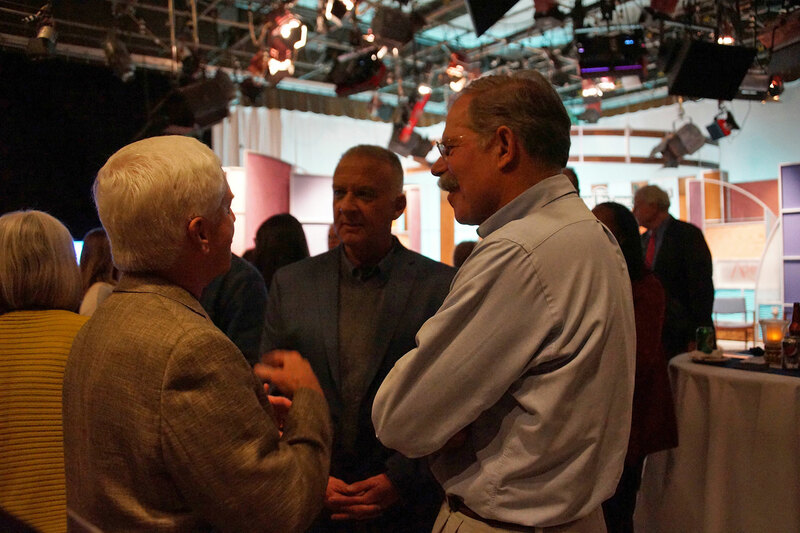 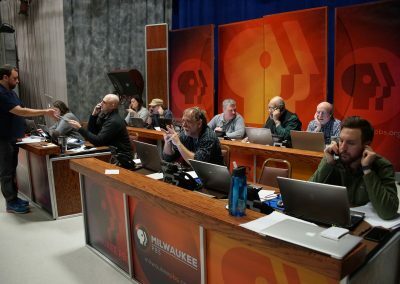 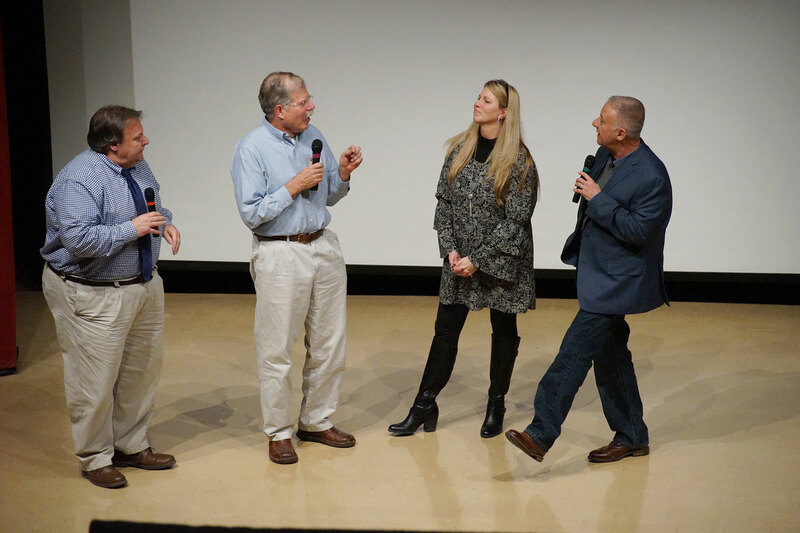 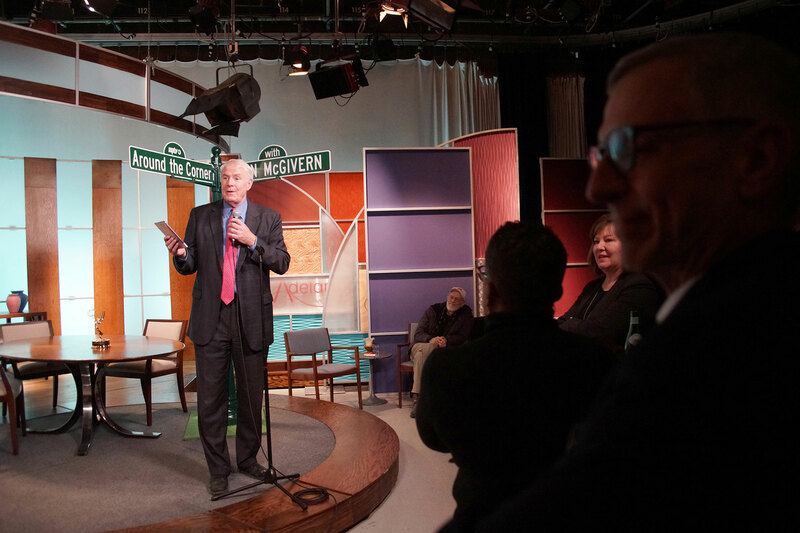 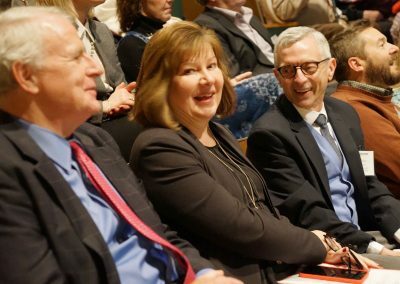 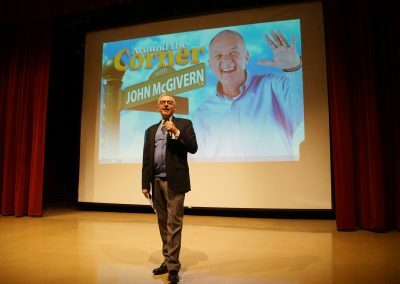 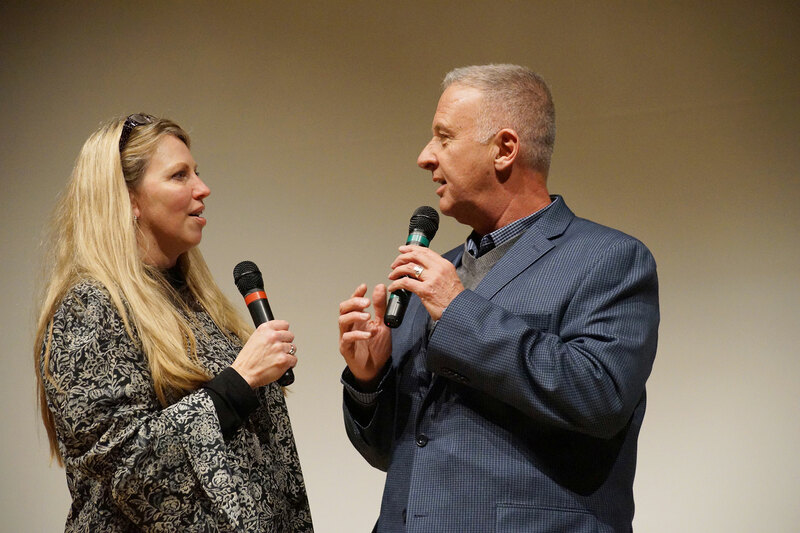 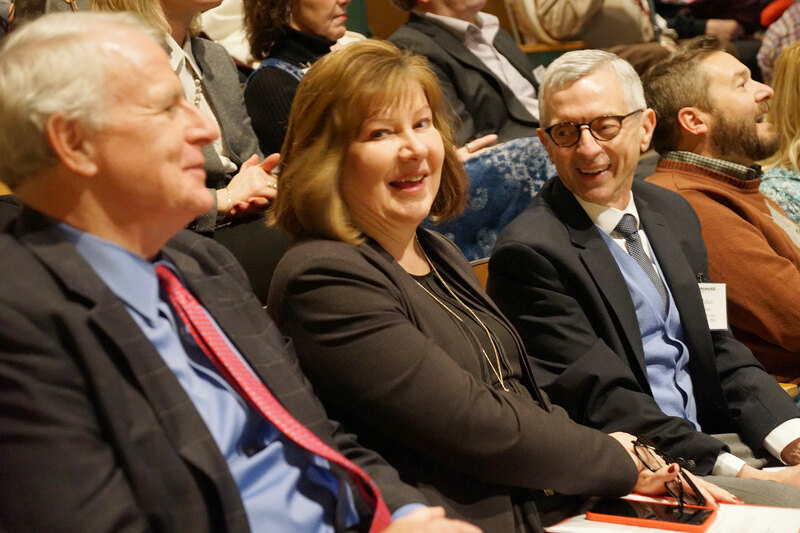 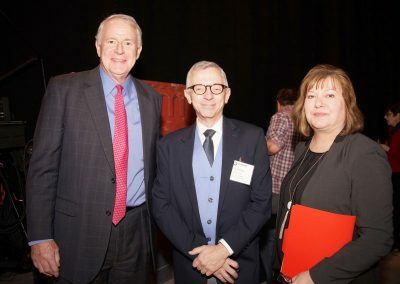 A new season of the Emmy Award winning “Around the Corner with John McGivern” began in 2018 with a sold-out preview party at the Milwaukee PBS studio on January 8. 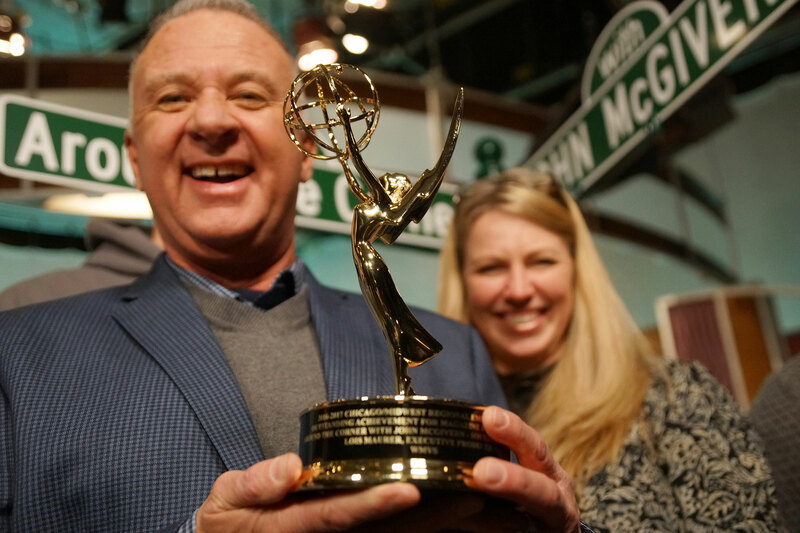 The most highly-rated local program on Milwaukee PBS, Around the Corner with John McGivern, returned with a brand-new season. 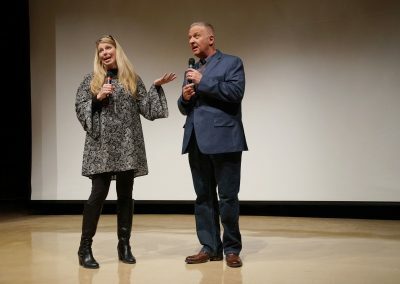 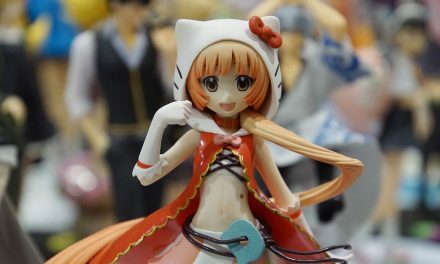 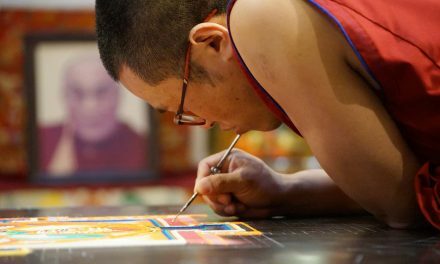 Before the official broadcast premiere of the 7th season’s episode one on January 11, the public was given a free screening. 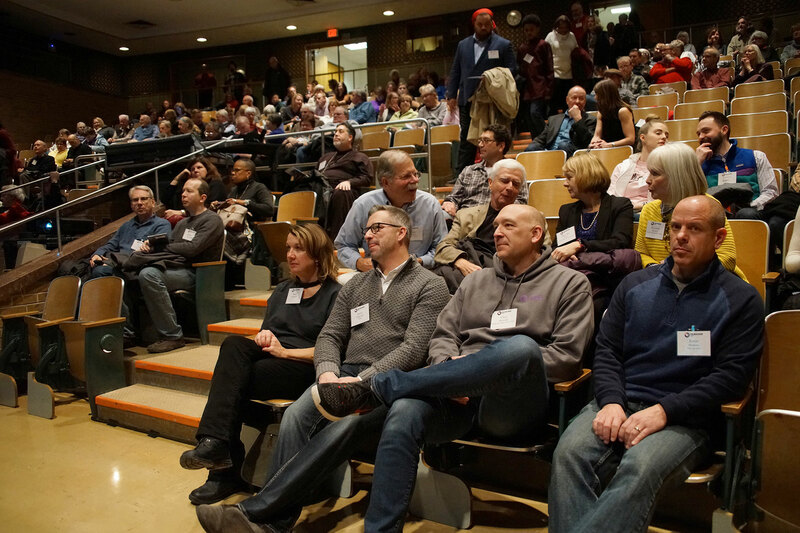 Many of the individuals filmed in the show attended the January 8 event, including owner Johnathan Dye of Mr. Dye’s Pies and members from Discovery World’s S/V Denis Sullivan. 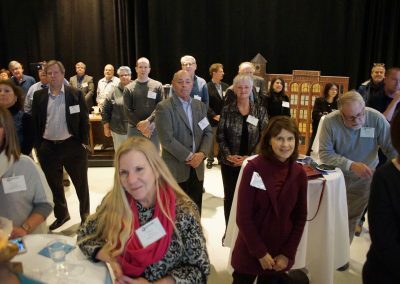 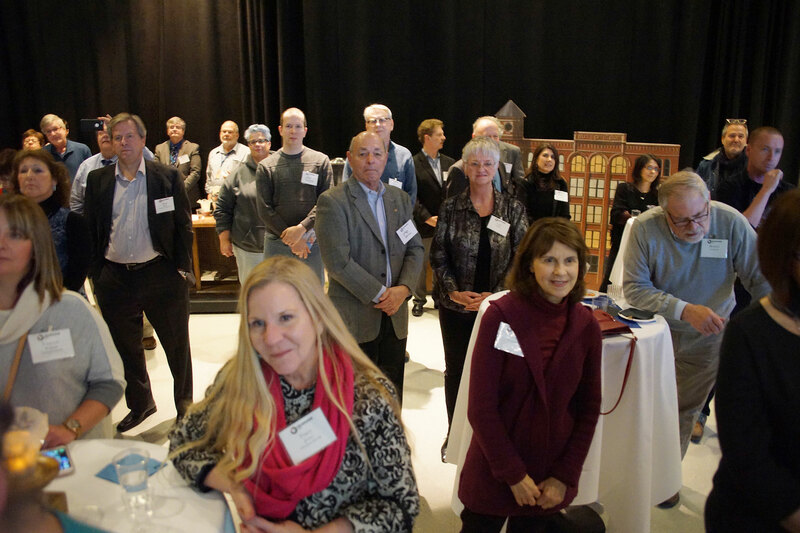 The kick off preview party was held closer to home in Milwaukee, on the campus of the Milwaukee Area Technical College (MATC). 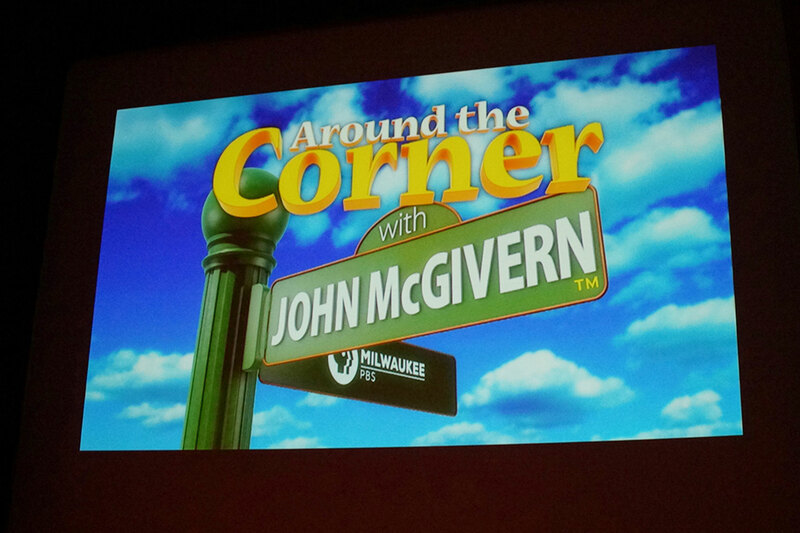 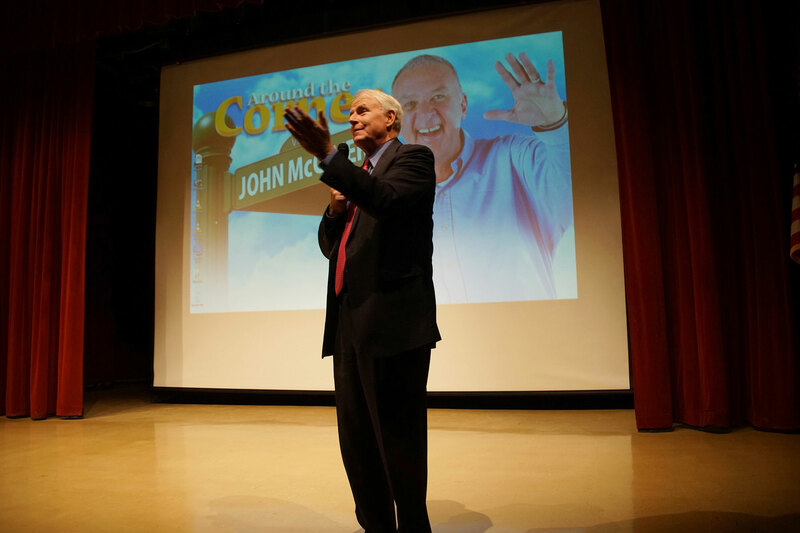 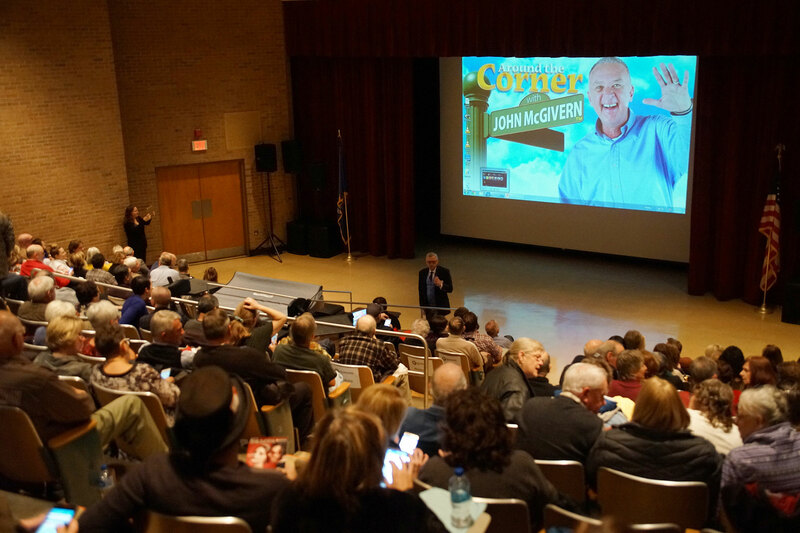 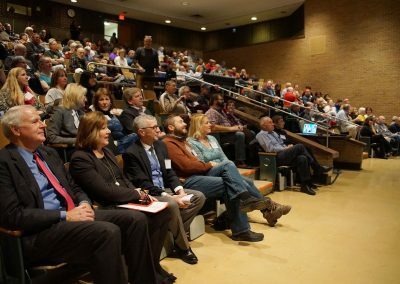 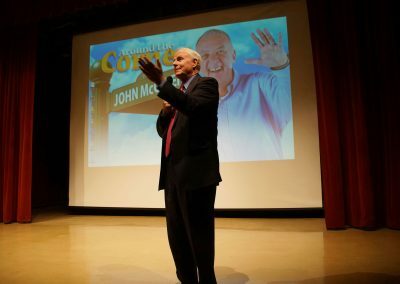 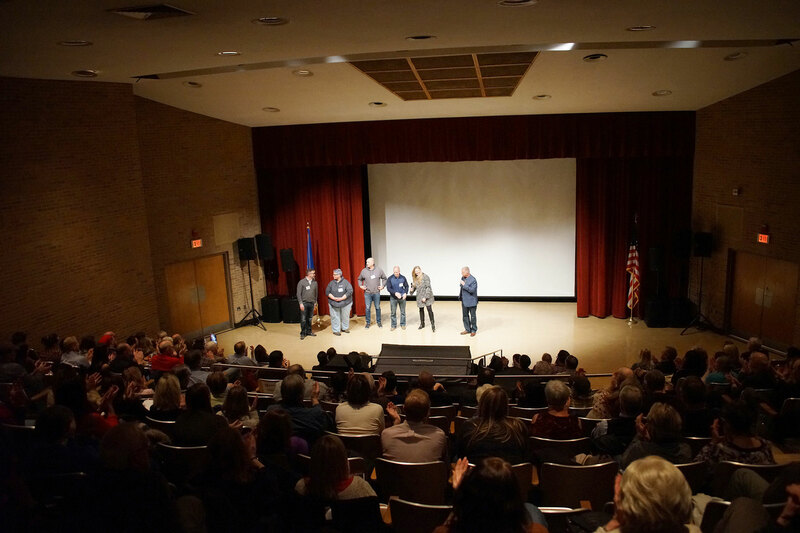 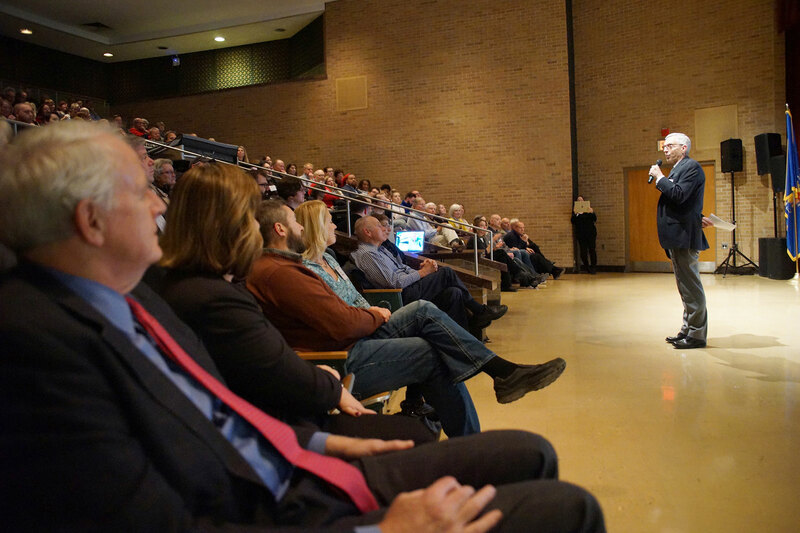 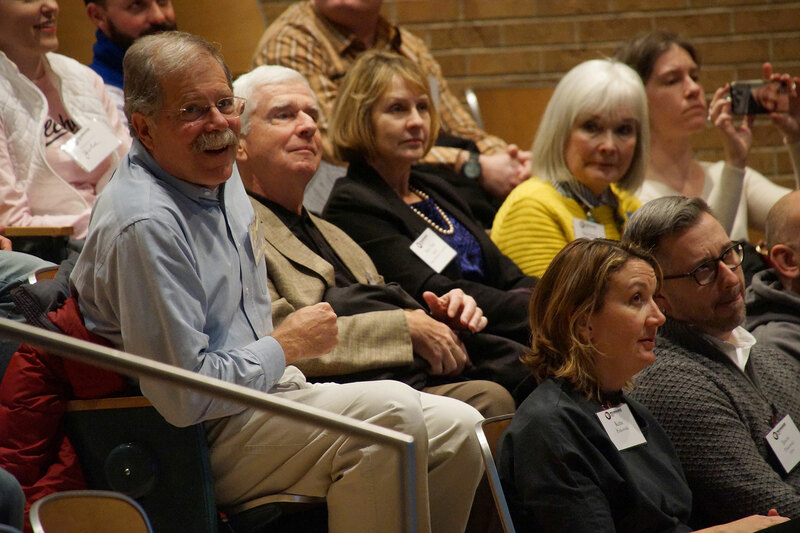 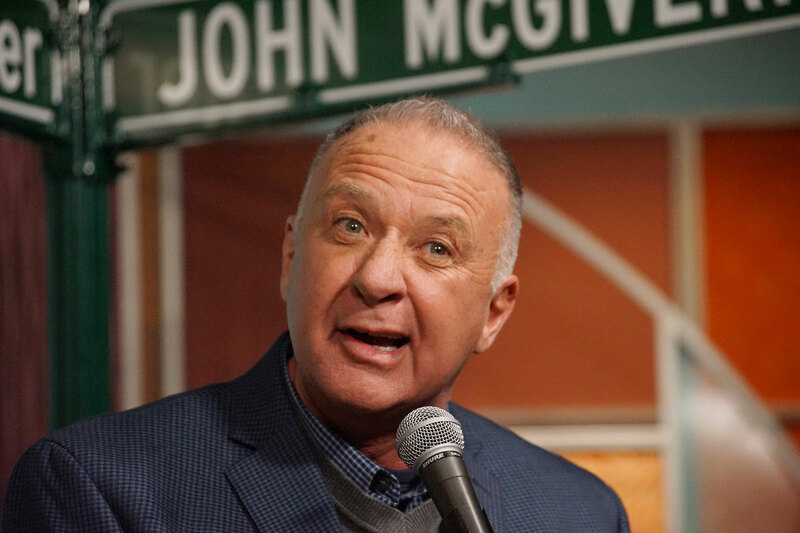 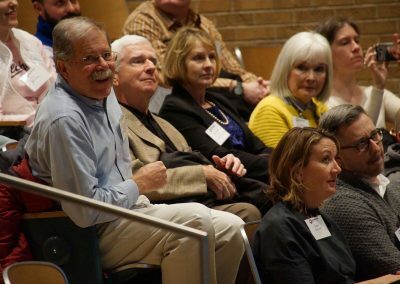 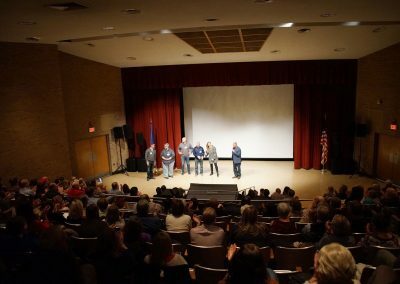 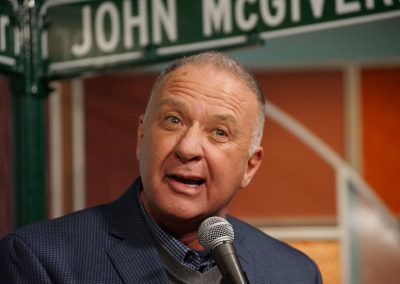 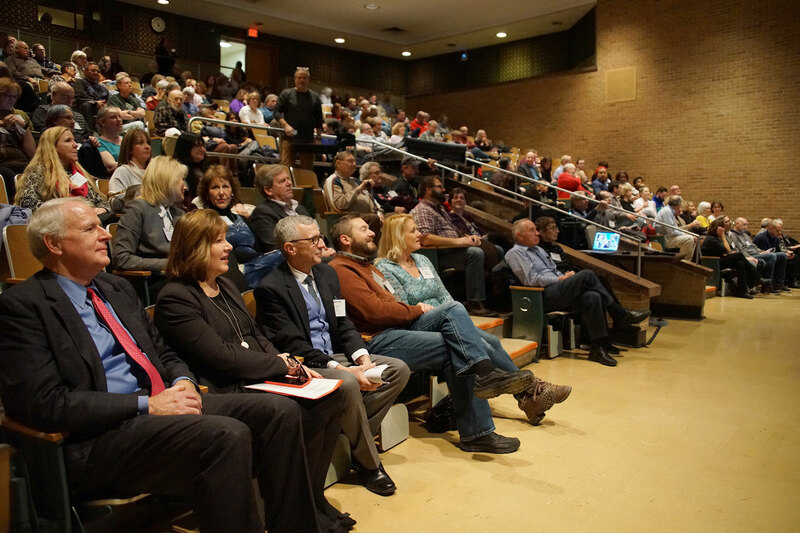 The sold-out event was hosted by the entire crew of the John McGivern show. 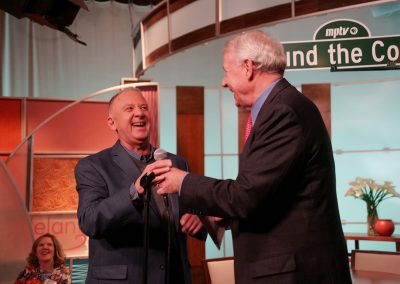 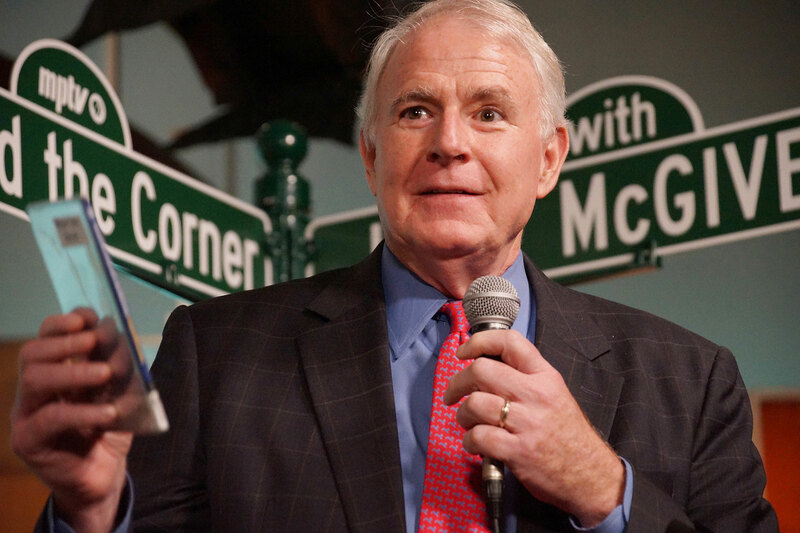 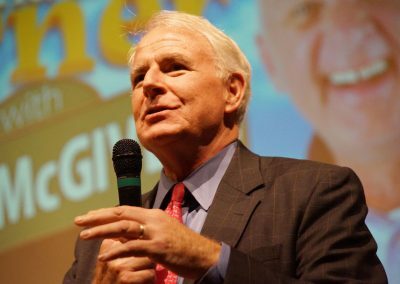 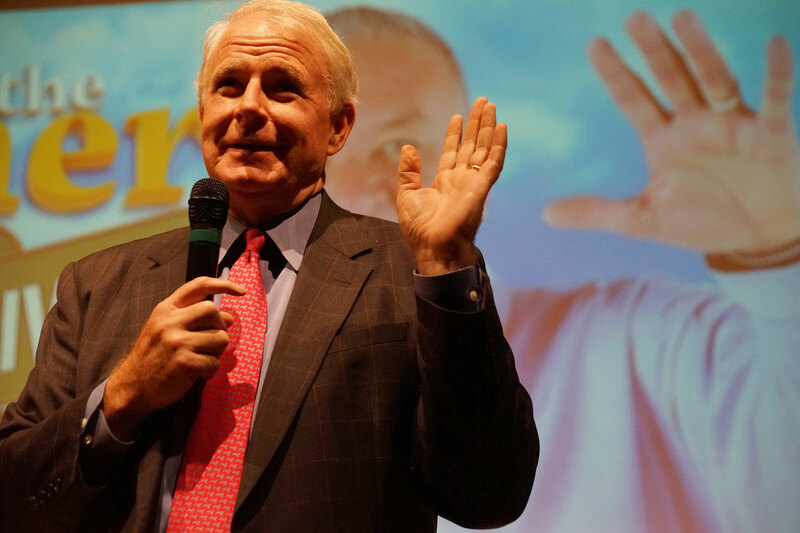 Milwaukee Mayor Tom Barrett, who was featured in the episode, welcomed the audience and offered a unique congratulations for the show’s longevity. 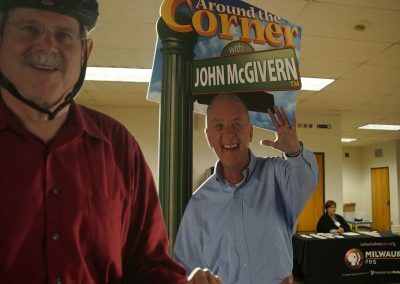 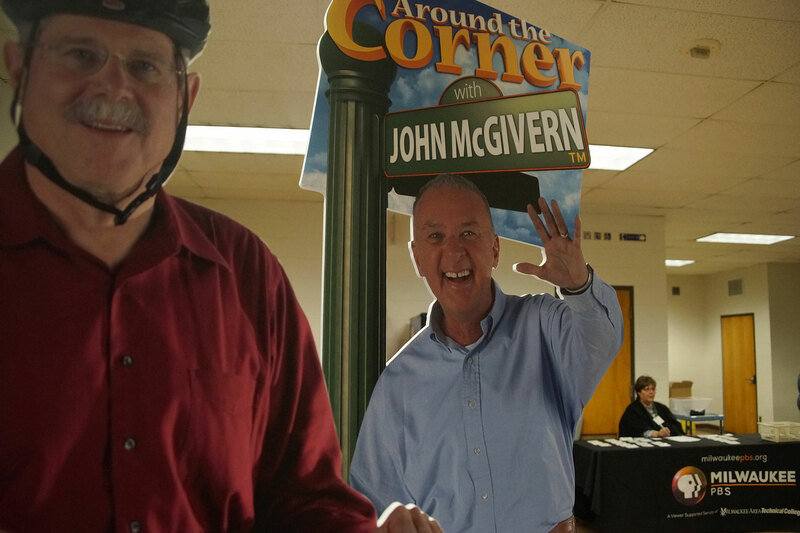 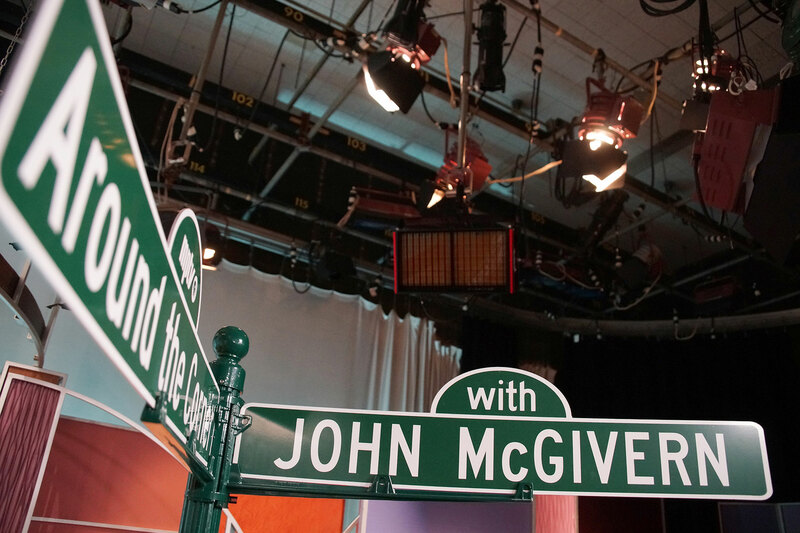 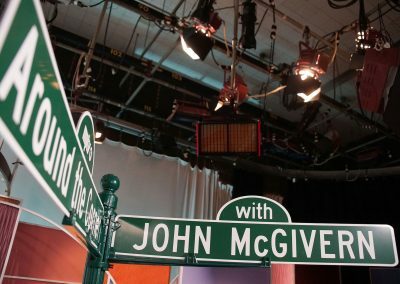 Around the Corner with John McGivern receives many invitations from viewers to come explore their hometowns. Each season the crew struggles to narrow down all the remarkable communities to visit just 13. 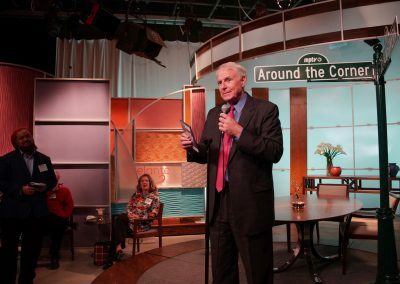 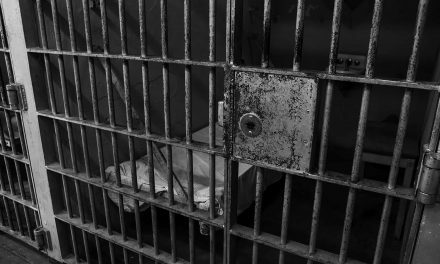 This season’s episodes will be: Around Milwaukee, Appleton, Middleton, Havenwoods, Viroqua, Mayville, Stevens Point, Brookfield & Elm Grove, Manitowoc, Mequon & Thiensville, Caledonia & Wind Point, Platteville & Menominee. 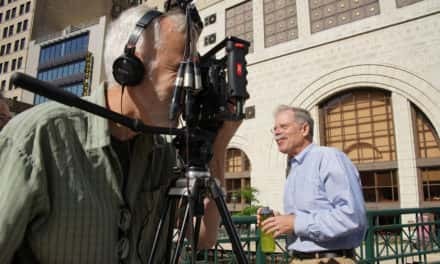 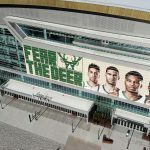 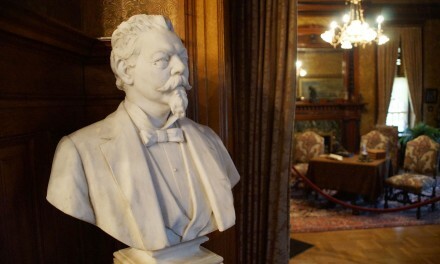 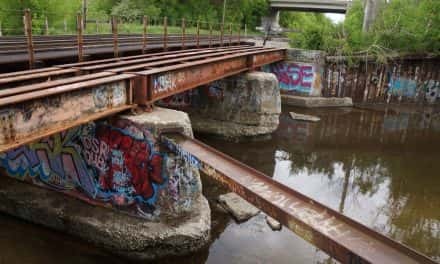 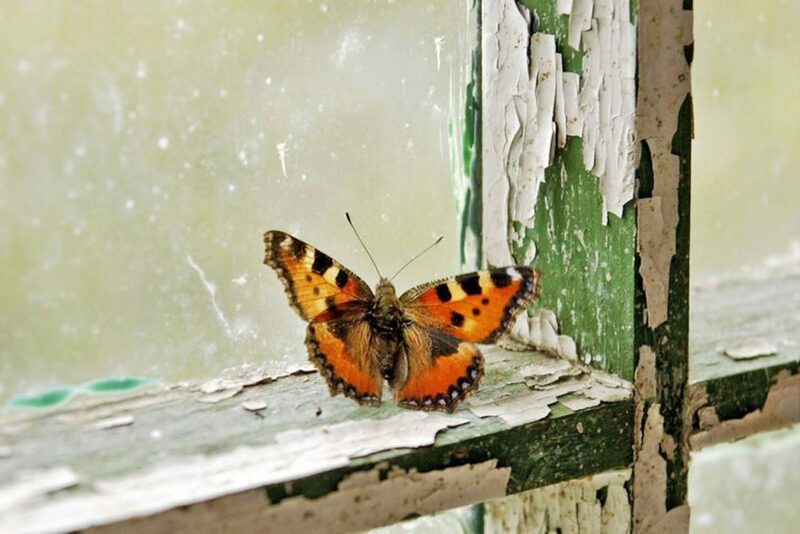 The show airs as part of the Milwaukee PBS Local Thursday Line-Up, starting at 7:00 p.m. and followed by Wisconsin Foodie, This Old House Hour, Milwaukee PBS Presents, and Outdoor Wisconsin. 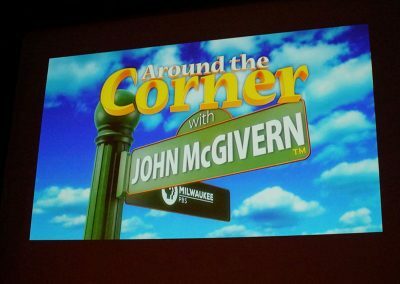 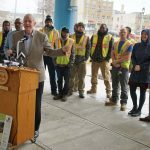 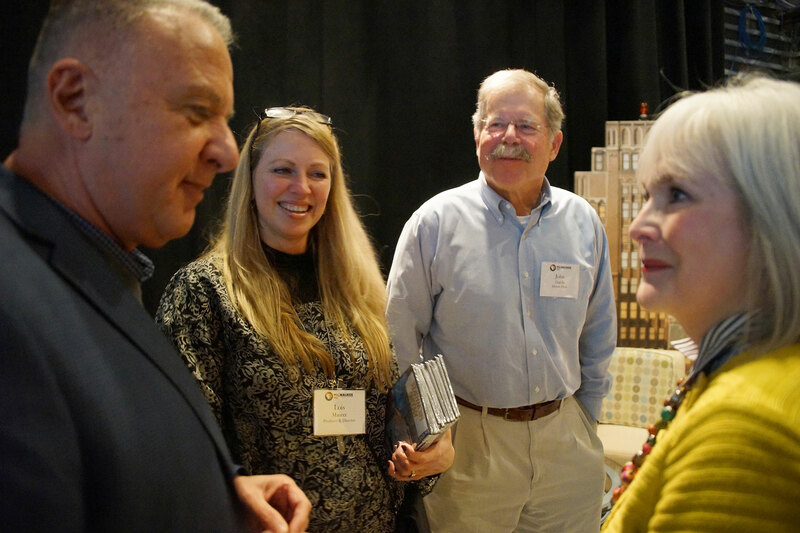 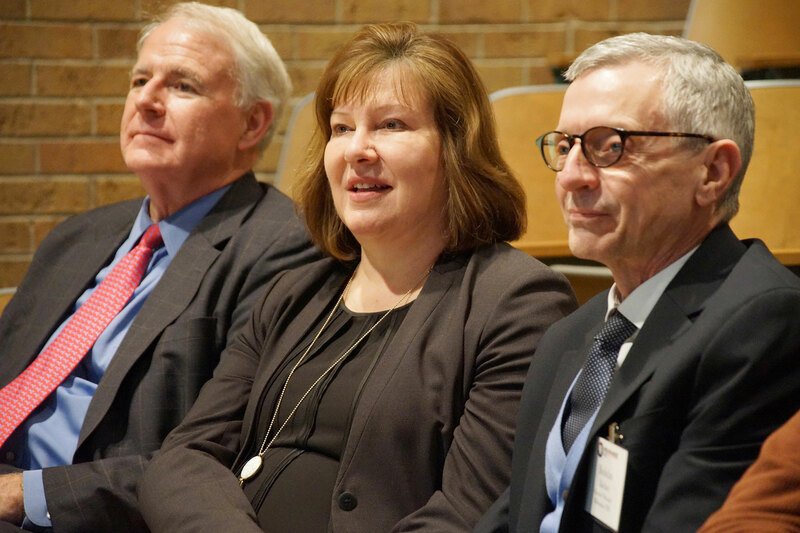 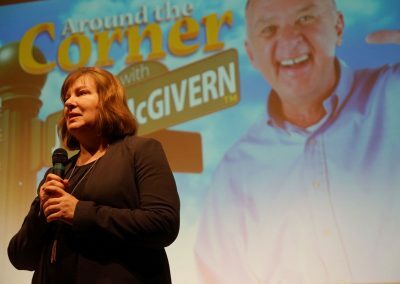 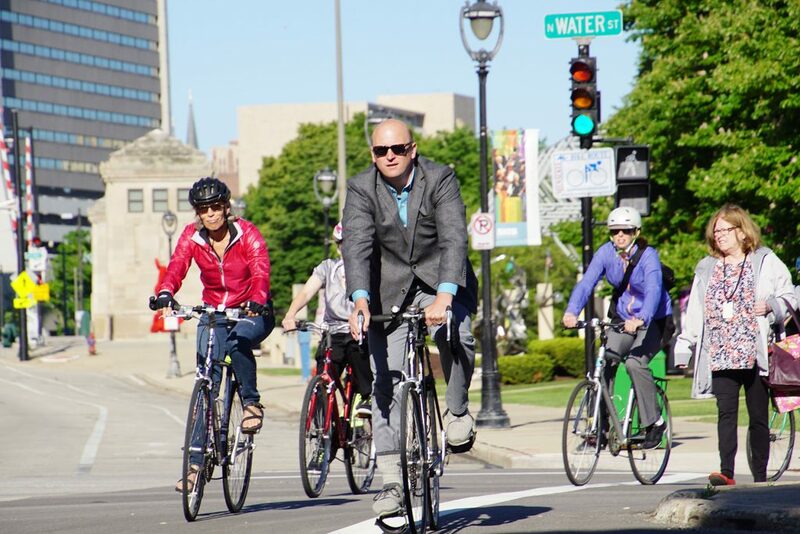 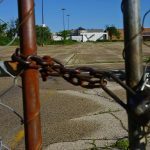 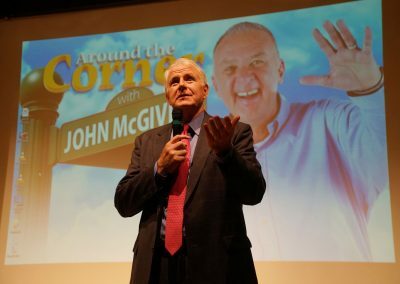 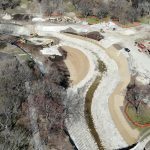 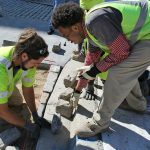 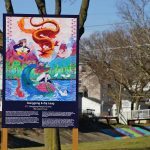 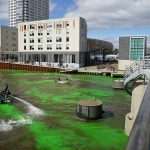 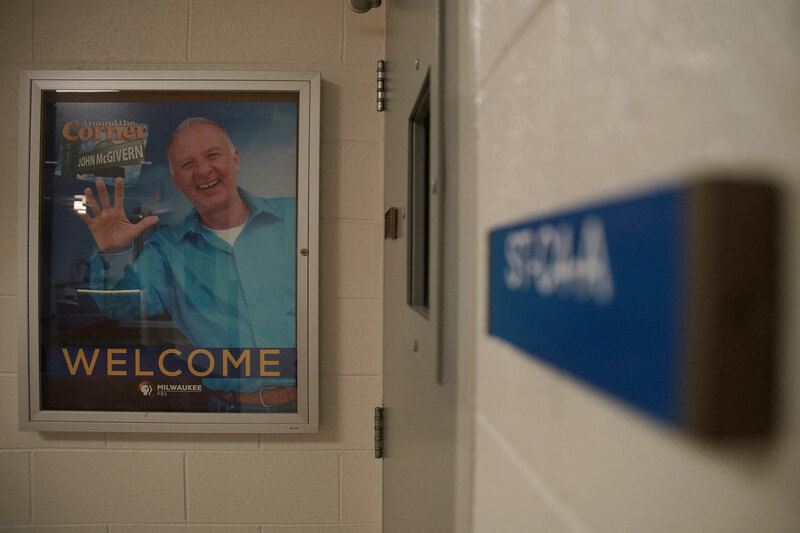 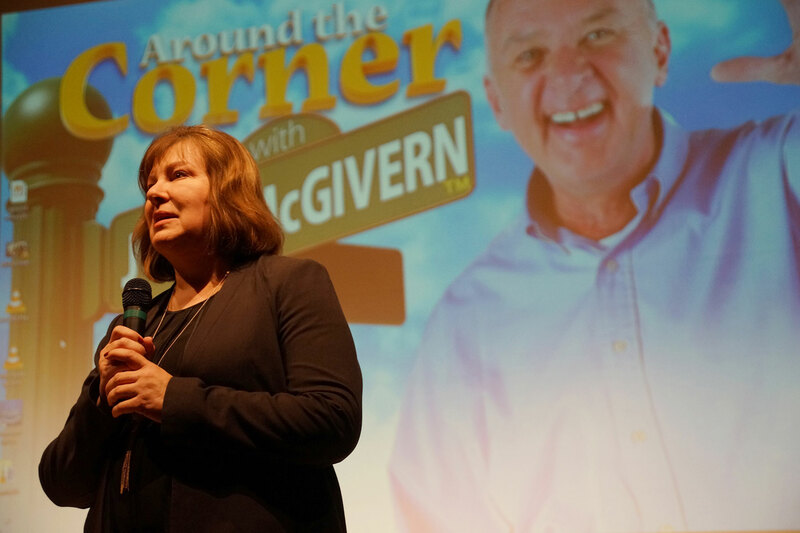 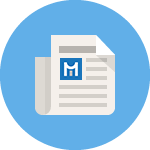 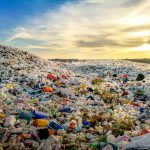 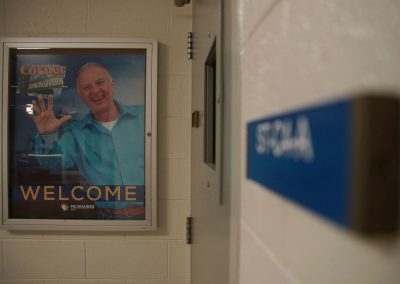 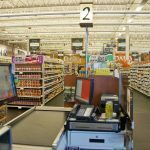 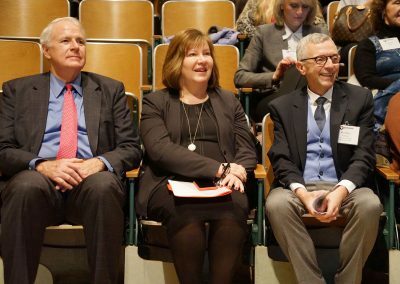 Around the Corner with John McGivern began to air nationally on January 7, and is made possible with the generous support of the Greater Milwaukee Foundation’s Ernest C. and Florence M. Schocke Fund, the Greater Milwaukee Foundation’s David A. 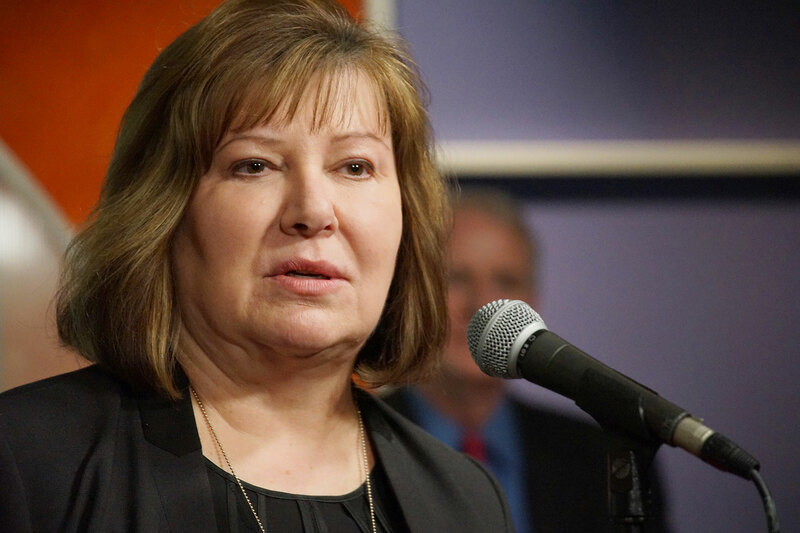 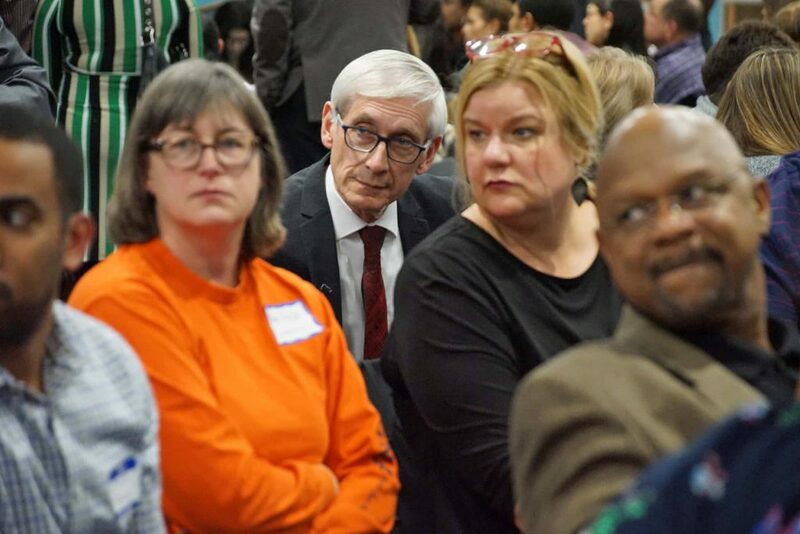 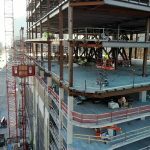 & Nancy E. Putz Fund, Goodwill Industries, and We Energies Foundation. 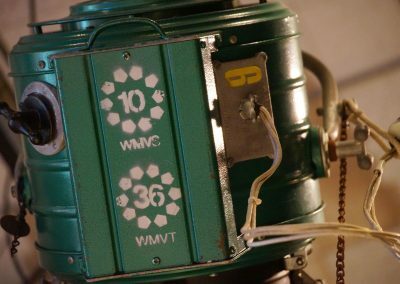 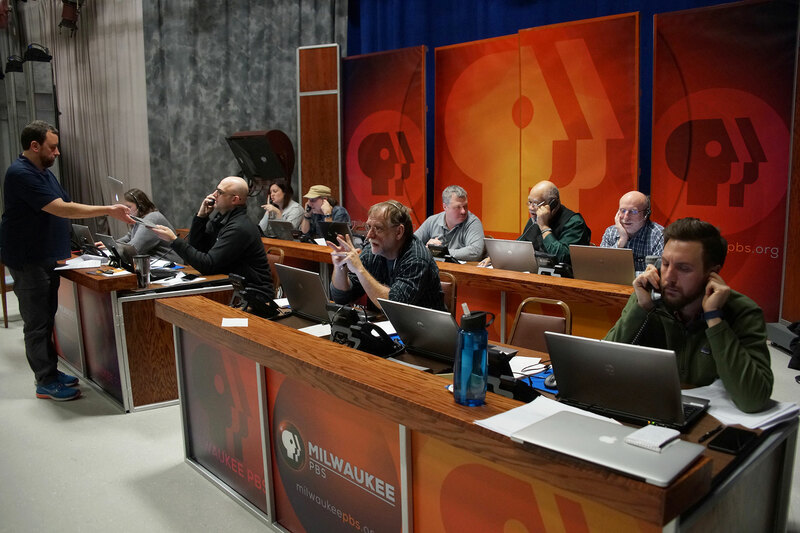 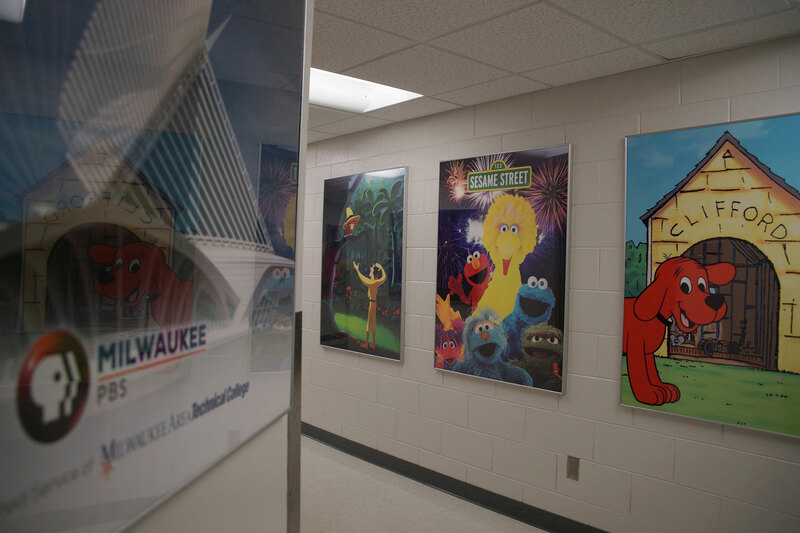 Milwaukee PBS consists of two high-definition television stations, WMVS and WMVT, and seven additional digital television services. 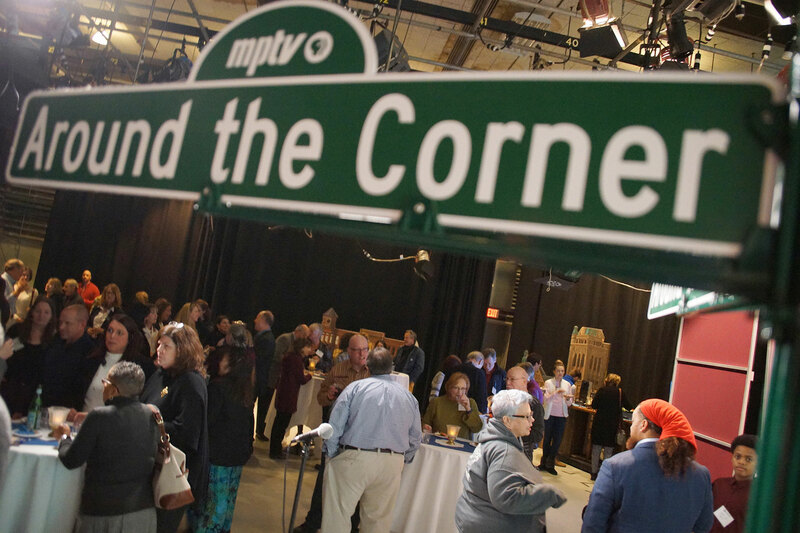 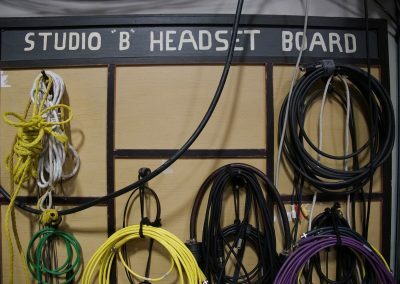 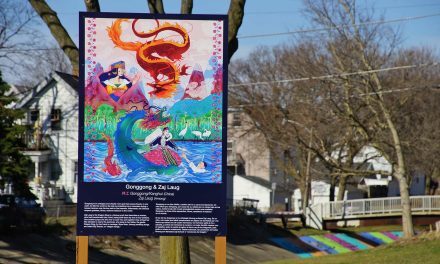 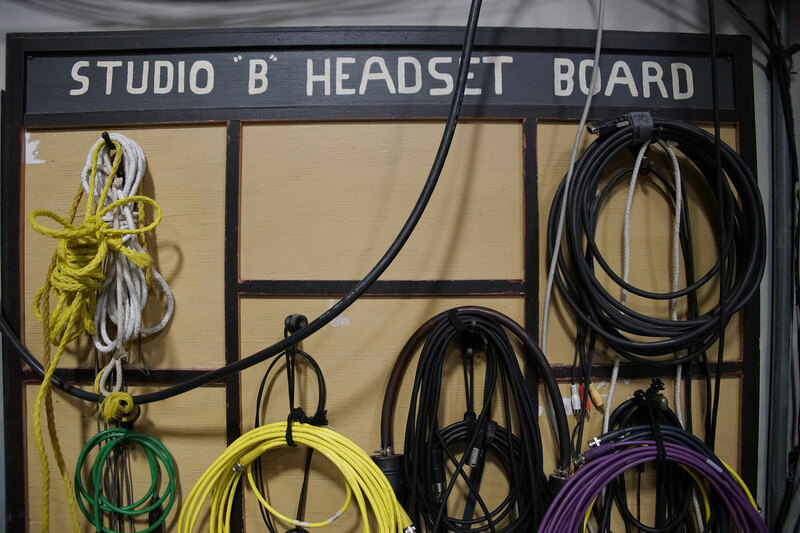 The stations are the area’s only over-the-air source for PBS and other national public television programs. 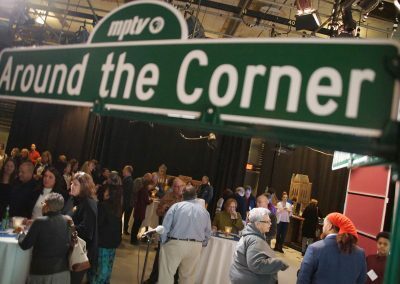 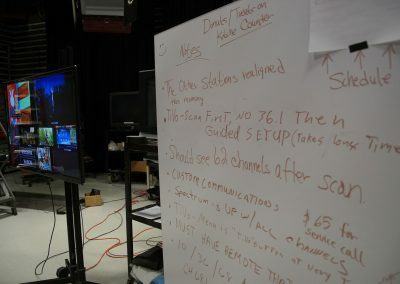 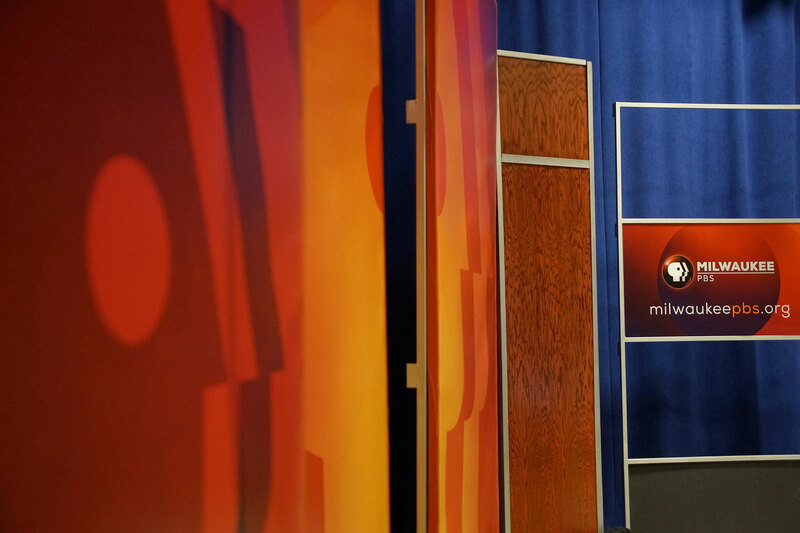 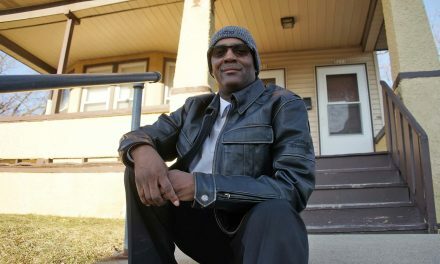 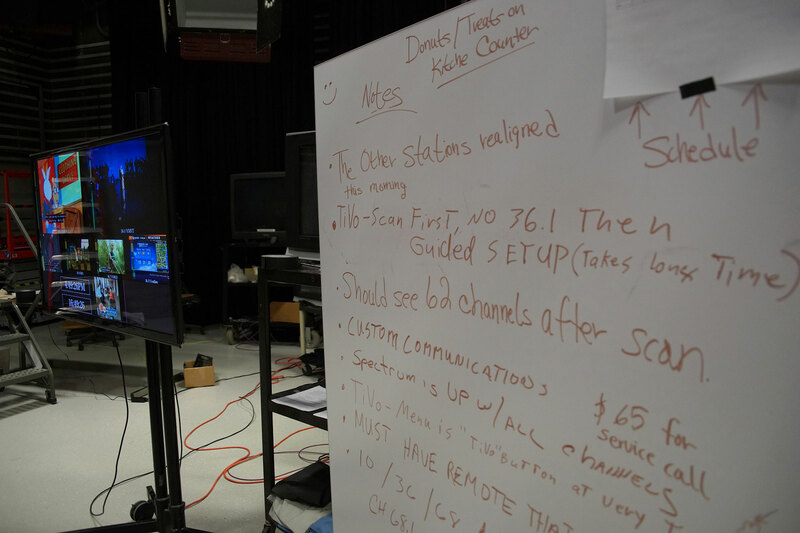 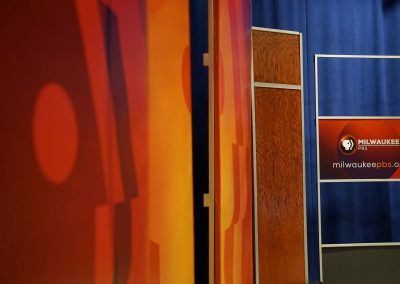 MPTV is a viewer-supported service of Milwaukee Area Technical College. Watch Full Episode: "Around Milwaukee"